Your credit can be equated to your “adult report card.” You want it in top shape, right? Sometimes, there are signs you’re not ready for credit repair. If you think you are ready to contact a credit repair company to help restore your credit, think again. There are several things you must consider before enlisting the help of a credit repair service. Here are the telltale signs you’re not ready for credit repair just yet. Let’s say you recently lost your job and are living paycheck to paycheck. If you are in the middle of a crisis, crashing and burning, and just stopped paying the bills three months ago—that’s not a good time to look at credit repair. That should be a time during which you try to figure out how to get out of debt, or how to get out of a negative financial situation. The credit repair professionals at Go Clean Credit can advise you on the steps you first need to take, but credit repair is not your first priority. Once things have settled down and you are beyond a financial crisis. If you experienced a lone event and not a pattern, that’s one thing—but some get into an unhealthy habit (like failing to use an auto-pay system, for instance) and spiraling into debt. If you have no need to use credit to get an auto loan or a home loan within the next year or so, that’s one of the most prominent signs you’re not ready for credit repair. It takes time, and if you plan to hold off on those major purchases until credit restoration is complete, you will be better off. If you’re still in a funk of blaming everyone else, you’re not holding yourself accountable for your own credit problems. That prevents you from moving forward, so recognize what happened and be open to a change of habit. In the end, it’s your finances. You have to get on a budget and figure out how to live at a certain level that doesn’t involve using credit for everything. One of the main signs you’re not ready for credit repair is that you have to be in the frame of mind to end that behavior and really turn over a new leaf. It will require work, but it’s necessary to get you back on your feet financially. The professionals at Go Clean Credit will sometimes suggest declaring bankruptcy over enlisting in credit repair if you have a lot of relatively new debt. Contact them today for credit help! The number of credit cards you have (and how you use them) offers a pretty clear picture of how your credit score looks. Your multiple credit accounts also can impede or allow for future purchases, depending on how you spend. So, how many credit cards should you have to maintain good credit and perhaps not require drastic credit repair? Here’s what you need to know. Americans, on average, keep three to four credit cards—but depending on your ability to open more accounts (and juggle them), you may want more or fewer. If you wish to keep your balances more spread out, so that you won’t hit your credit limit on a certain account, having more credit cards will give you more leeway. Opening new credit cards can also deliver better rewards, such as cash back. However, if you are happy with the number of credit accounts you have already, or you don’t want to use any kind of credit whatsoever, it’s your choice. Carrying multiple credit cards can make things easier—if you use the credit wisely. Reap credit rewards: Credit card companies might offer nice rewards on some cards they offer to encourage you to use them. For example, one card might offer extra cash back on groceries or gas, while another may provide hotel points or airline miles. There’s not a certain credit card that does it all. Thus, carrying more than one card can assist you in earning additional rewards as you use your various cards toward different purchases. Keep your credit profile diversified: Carrying a few cards and responsibly utilizing them on a regular basis might have a positive impact on your credit. Keep flexibility: It’s usually a smart plan to have a backup for instances when your main card is not accepted. In addition, if a credit card is lost or thieved, it can take a few days or so to get a replacement in the mail. If you’re strapped for cash and payday isn’t until next week, keeping another card handy can help you avoid overdrawing your checking account. Despite the pros of using several cards, there are cons you must also take into account. Store credit cards can be a bad idea: Applying for credit cards at the stores you frequent is usually a bad idea. These often fuel the temptation to go on more shopping sprees, especially because they might offer savings that seem like a good deal. In reality, store credit cards can decrease the age of your overall credit history, thereby lowering your score. These cards carry interest rates and other detriments that simply aren’t worth it as an additional card in your wallet. Missing payment due dates: Not many credit cards let you select your payment due date. If you lose track, missing even one payment can produce a late fee and attach interest costs. If you keep an Excel spreadsheet updated with your due dates and sign up for phone reminders, you’ll have a better chance of staying on top of these important payments. However, fewer cards may be a better option if you don’t want to juggle so many dates. Keep track of spending: The more credit cards you have, the harder it is to recall how much you have spent on which account. If you have trouble keeping organized or you don’t follow a spending budget, carrying a few cards may not be a smart move. High annual fees can add up on your extra cards, too—pushing you further and further behind and sinking your credit score. Having several cards won’t necessarily hurt your score, but if you are opening and closing a few cards at the same time, it will tarnish your score. Can hurt your credit score: Your FICO credit score is greatly influenced by what you owe. It’s important to take a look at your credit utilization ratio, which is calculated by dividing your card balances by your total available credit. It’s typically recommended that you keep this ratio below 30 percent on each separate credit card as well as across all your credit cards. The more high balances you have on your cards, the greater the damage might be to your overall credit score. There’s no right or wrong answer when it comes to answering, “How many credit cards should you have?” It depends on your own spending habits, preferences and your finances. Are you looking to gain rewards from a credit card? Would you rather have one or two cards to keep track of than six? Take a look at your situation to gauge whether you’ll want to stick to one card or more. Is a credit score of 560 good or bad? 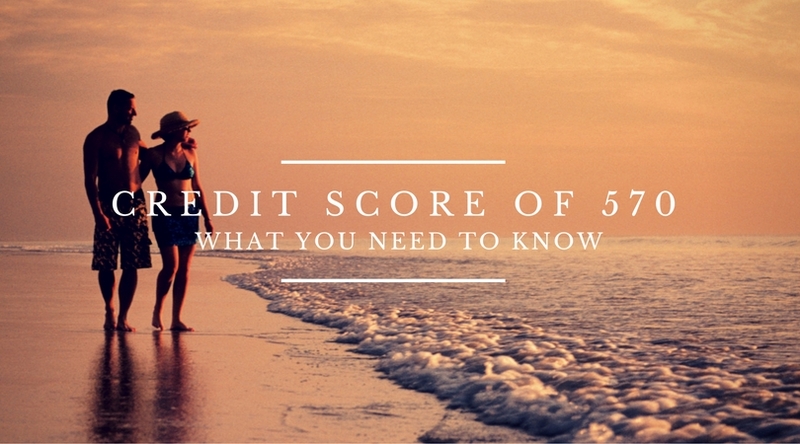 What does a credit score of 560 mean? Brace yourself for some bad news… If you have a credit score of 560, you have what’s considered “poor” credit and are in need of credit repair ASAP. As a general rule, credit scores below 619 receive the worst interest rates on home loans, auto loans and credit. The effects can really take a toll on a person’s life – and it might be worse than you think. What does having a credit score of 560 mean for home loans, car loans and credit cards? How do you improve a 560 credit score? Is it possible to get a loan with a credit score of 560? We will answer all of those questions and more—so read on. Buying a car with a credit score of 560 is possible, but you’re most likely going to have an extremely high interest rate. People with bad credit – if approved for a loan – are always offered higher interest rates than someone with a credit score even 80 points higher than their score. What is the interest rate for a credit score of 560 on a car loan? The average amount borrowed by car buyers is $27,000 – according to Melinda Zabritski, Experian’s senior director of automotive credit. When you factor in the 3 common types of auto loans available in myFICO’s loan savings calculator – 36-month new auto loan, 48-month new auto loan and a 60-month new auto loan – you’ll get a good idea of how much more an auto loan will cost for someone with a credit score of 560 versus a credit score of 640. So you’re telling me that an 80-point difference in credit scores results in a difference of $4,443—for the same car? Yes, that’s exactly right. Getting a car loan with a 560 credit score is going to cost you a lot more. On a 36-month new auto loan, it’ll cost you $2,551 more. On a 48-month, $3,491 more. On a 60-month auto loan, it will cost you a whopping $4,443 more. In other words, if your scored changed to a 640—just an 80-point improvement—you would save thousands of dollars on your loan. It’s worth it to pay a company like Contact Go Clean Credit to restore your credit before you take a test drive. What’s the best credit card for a score of 560? Unfortunately, if your credit score is a 560, you will not qualify for an unsecured credit card. Any credit score above 600 may qualify for an unsecured card – depending on the type of credit card you’re applying for. But if your credit score starts with a “5” and ends in two numbers (“60”), then you will only qualify for a secured credit card. What’s a secured credit card? It means that you will be required to make a minimum deposit in order to open your credit card. Go Clean Credit continually evaluates credit offerings and currently recommends these Secured Cards for people with a credit score of 560. We have seen up to a 40-point increase in credit score just by opening one of these cards. What happens to your APR for a credit score of 560? Here’s a chart illustrating the differences between annual fees and interest rates between someone with good credit and a credit score of 560. Let’s say you are a first-time homebuyer with a credit score of 560. Can a credit score of 560 buy a house? For most mortgages you need to be above a 620 credit score, but there are a few loans out there that go down to 560 for FHA. However, other parameters get harder (life debt to income), so it makes it pretty hard to qualify below 620. Let’s say that you may qualify for a FHA loan with a credit score of 560. As you’ll see in the charts below, a low FICO score increases the amount of money you will end up spending on a loan throughout the course of its life. So, can a credit score of 560 get a mortgage? Maybe. But is it worth it? Getting a mortgage with a credit score of 560 will add an extra $68,040 over the course of the loan than someone with a 721 credit score. The interest rate for a credit score of 560 will increase the monthly mortgage payment by $79 more than someone with a score 75 points higher, at a credit score of 635. Just how bad is a credit score of 560? As we’ve seen in the sections above, this score impacts every aspect of your financial life. Mortgages, auto loans and credit card interest rates are all dramatically higher than they would be if you had moderate credit. If you would like to improve your credit score of 560, there are a few ways you can go about it. Is a credit score of 600 good or bad? What does a credit score of 600 mean? Brace yourself for some bad news… If you have a credit score of 600, you have what’s considered “poor” credit. As a general rule, credit scores below 619 receive the worst interest rates on home loans, auto loans and credit. The effects can really take a toll on a person’s life – and it might be worse than you think. What does having a credit score of 600 mean for home loans, car loans and credit cards? How do you improve a 600 credit score? Is it possible to get a loan with a credit score of 600? We will answer all of those questions and more—so read on. Buying a car with a credit score of 600 is possible, but you’re most likely going to have an extremely high interest rate and will need credit repair. People with bad credit – if approved for a loan – are always offered higher interest rates than someone with a credit score even 80 points higher than their score. What is the interest rate for a credit score of 600 on a car loan? The average amount borrowed by car buyers is $27,000 – according to Melinda Zabritski, Experian’s senior director of automotive credit. When you factor in the 3 common types of auto loans available in myFICO’s loan savings calculator – 36-month new auto loan, 48-month new auto loan and a 60-month new auto loan – you’ll get a good idea of how much more an auto loan will cost for someone with a credit score of 600 versus a credit score of 680. So you’re telling me that an 80-point difference in credit scores results in a difference of $5,579—for the same car? Yes, that’s exactly right. Getting a car loan with a 600 credit score is going to cost you a lot more. On a 36-month new auto loan, it’ll cost you $3,182 more. On a 48-month, $4,346 more. On a 60-month auto loan, it will cost you a whopping $5,579 more. In other words, if your scored changed to a 680—just an 80-point improvement—you would save thousands of dollars on your loan. It’s worth it to pay a company like Contact Go Clean Credit to restore your credit before you take a test drive. What’s the best credit card for a score of 600? If your credit score is a 600, you may qualify for an unsecured credit card. Any credit score above 600 may qualify for an unsecured card – depending on the type of credit card you’re applying for. What’s a secured credit card? It means that you will be required to make a minimum deposit in order to open your credit card. Go Clean Credit continually evaluates credit offerings and currently recommends these Secured Cards for people with a credit score of 600. We have seen up to a 40-point increase in credit score just by opening one of these cards. What happens to your APR for a credit score of 600? Here’s a chart illustrating the differences between annual fees and interest rates between someone with good credit and a credit score of 600. Let’s say you are a first time home buyer with a credit score of 600. Can a credit score of 600 buy a house? For most mortgages you need to be above a 620 credit score, but there are a few loans out there that go down to 600 for FHA. However, other parameters get harder (life debt to income) so it makes it pretty hard to qualify below 620. Let’s say that you may qualify for a FHA loan with a credit score of 600. As you’ll see in the charts below, a low FICO score increases the amount of money you will end up spending on a loan throughout the course of its life. So, can a credit score of 600 get a mortgage? Maybe. But is it worth it? Getting a mortgage with a credit score of 600 will add an extra $68,040 over the course of the loan than someone with a 721 credit score. The interest rate for a credit score of 600 will increase the monthly mortgage payment by $118 more than someone with a score 75 points higher, at a credit score of 675. Just how bad is a credit score of 600? As we’ve seen in the sections above, this score impacts every aspect of your financial life. Mortgages, auto loans and credit card interest rates are all dramatically higher than they would be if you had moderate credit. If you would like to improve your credit score of 600, there are a few ways you can go about it. Is a credit score of 570 good or bad? 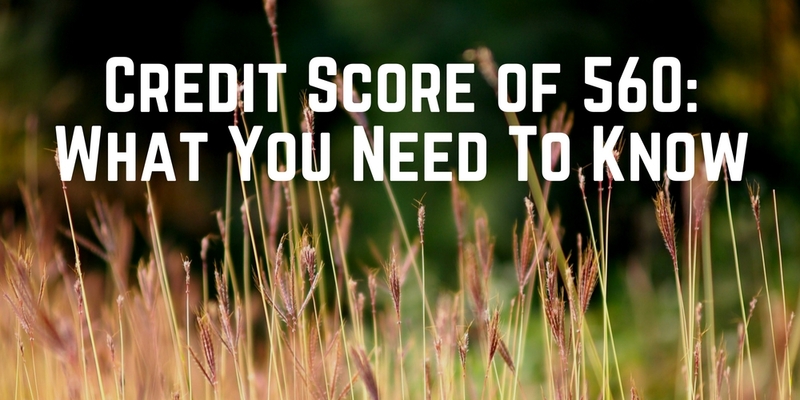 What does a credit score of 570 mean? We’ve got some bad news for you. If you have a credit score of 570, you have what is considered “poor” credit. As a general rule, credit scores below 619 receive the worst interest rates on home loans, auto loans and credit. The effects can really take a toll on a person’s life – and it might be worse than you think. 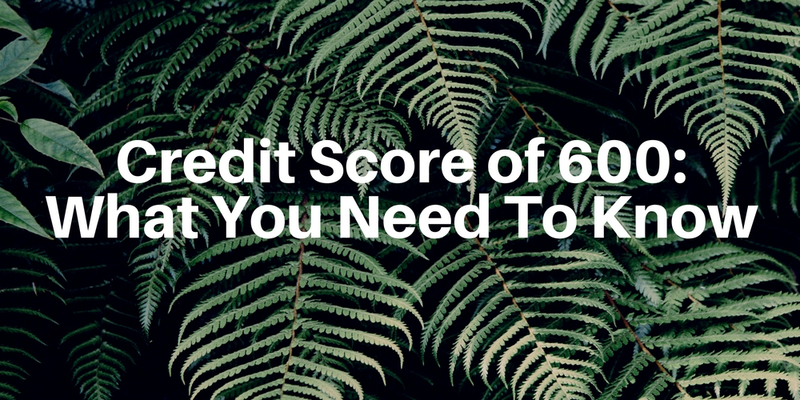 What does having a credit score of 570 mean for home loans, car loans and credit cards? How do you improve a 570 credit score? Is it possible to get a loan with a credit score of 570? We’ll answer all of those questions and more in this post. Buying a car with a credit score of 570 is possible, but you’re most likely going to have an extremely high interest rate and will need credit repair services. People with bad credit – if approved for a loan – are always offered higher interest rates than someone with a credit score even 80 points higher than their score. What is the interest rate for a credit score of 570 on a car loan? The average amount borrowed by car buyers is $27,000 – according to Melinda Zabritski, Experian’s senior director of automotive credit. When you factor in the 3 common types of auto loans available in myFICO’s loan savings calculator – 36-month new auto loan, 48-month new auto loan and a 60-month new auto loan – you’ll get a good idea of how much more an auto loan will cost for someone with a credit score of 570 versus a credit score of 650. 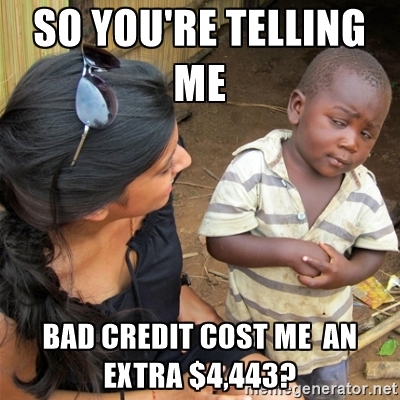 So you’re telling me that an 80 point difference in credit scores results in a difference of $4,443 – for the same car? Yes, that’s exactly what we’re telling you. Getting a car loan with a 570 credit score is going to cost you a lot more. On a 36 month new auto loan, it’ll cost you $2,550 more. On a 48 month, $3,491 more. On a 60 month auto loan, it will cost you a whopping $4,443 more. In other words, if your scored changed to a 650 – just an 80 point improvement you would save thousands of dollars on your loan. It’s worth it to pay a company like Contact Go Clean Credit to restore your credit before you take a test drive. What’s the best credit card for a score of 570? Unfortunately, if your credit score is a 570, you will not qualify for an unsecured credit card. In other words, you’re going to have to make a deposit to open up a credit card. Any credit score above 600 may qualify for an unsecured card – depending on the type of credit card you’re applying for. But if your credit score starts with a “5” and ends in two numbers (“70”), then you will only qualify for a secured credit card. What’s a secured credit card? It means that you will be required to make a minimum deposit in order to open your credit card. Go Clean Credit continually evaluates credit offerings and currently recommends these Secured Cards for people with a credit score of 570. We have seen up to a 40 point increase in credit score just by opening one of these cards. What happens to your APR for a credit score of 570? Here’s a chart illustrating the differences between annual fees and interest rates between someone with good credit and a credit score of 570. Let’s say you are a first time home buyer with a credit score of 570. Can a credit score of 570 buy a house? For most mortgages you need to be above a 620 credit score, but there are a few loans out there that go down to 570 for FHA. But then other parameters get harder (life debt to income) so it makes it pretty hard to qualify below 620. Let’s say that you may qualify for a FHA loan with a credit score of 570. As you’ll see in the charts below, a low FICO score increases the amount of money you will end up spending on a loan throughout the course of its life. If your FICO score is below a 560, most lenders will not even consider offering you a jumbo loan for a FICO score that low. Note: The 30-year fixed jumbo home mortgage APR’s are estimated based on the following assumptions. FICO scores between 620 and 850 (500 and 619) assume a Loan Amount of $300,000, 1.0 (0.0) Points, a Single Family – Owner Occupied Property Type and an 80% (60-80%) Loan-To-Value Ratio. So can a credit score of 570 get a mortgage? Maybe. Perhaps. But is it worth it? Getting a mortgage with a credit score of 570 will add an extra $68,040 over the course of the loan than someone with a 721 credit score. The interest rate for a credit score of 570 will increase the monthly mortgage payment by $222 more than someone with a score 95 points higher, at a credit score of 675. Just how bad is a credit score of 570? As we’ve seen in the sections above, this score impacts every aspect of your financial life. Mortgages, auto loans and credit card interest rates are all dramatically higher than they would be if you had moderate credit. If you would like to improve your credit score of 570, there are a few ways you can go about it.